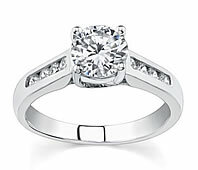 A stunning band of channel set round cut diamonds adorn this trellis mounted center stone engagement ring. Each channel flowing down each side of the band holds 4 brilliant round cut diamonds. 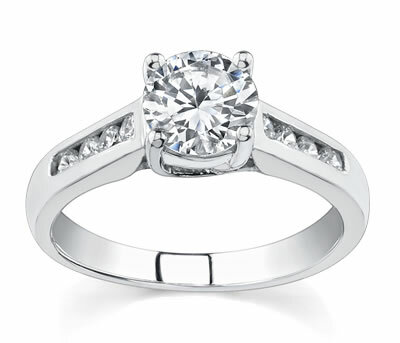 The setting is slightly curved upward to give the center stone a sparkling pedestal on which it is displayed!